I know, I know, I’ve been a terrible blogger lately. But today, I have big news! FLICKER, my first novel, is officially in stock at my local bookstore… and is about to become available online as well! You can find the book on Lulu here. FLICKER will also be available on Amazon and as an ebook within the next few days. Check out the FLICKER page on this blog for more information about the book. 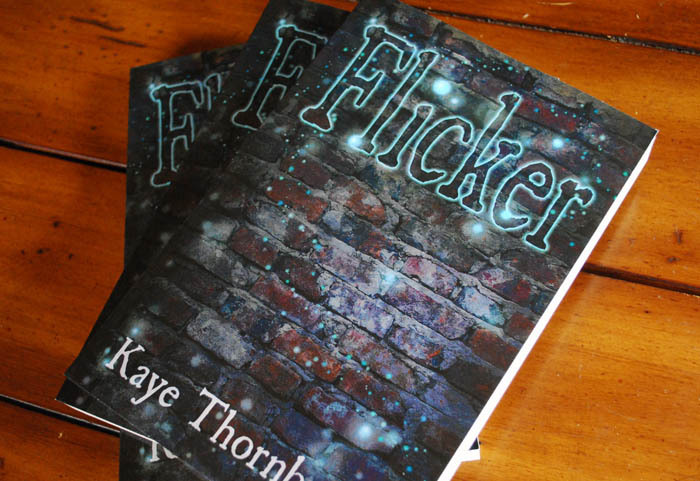 I cannot fully express just how thrilled I am to have FLICKER finally available to the public. I can’t wait to share this story and these characters with you! Get excited, and tell your friends! Next Post A FLICKER of interest? Also I'm planning on reviewing it on my blog and other various websites once I finish reading it. Which you should feel special I'm working on reading something I'm not planning on teaching… I even had to put The Fault in Our Stars on hold for student teaching.